RCW 113, also called Gum 55, is a huge region of diffuse nebulosity surrounding the Sco OB1 association and its core ionising cluster NGC 6231. 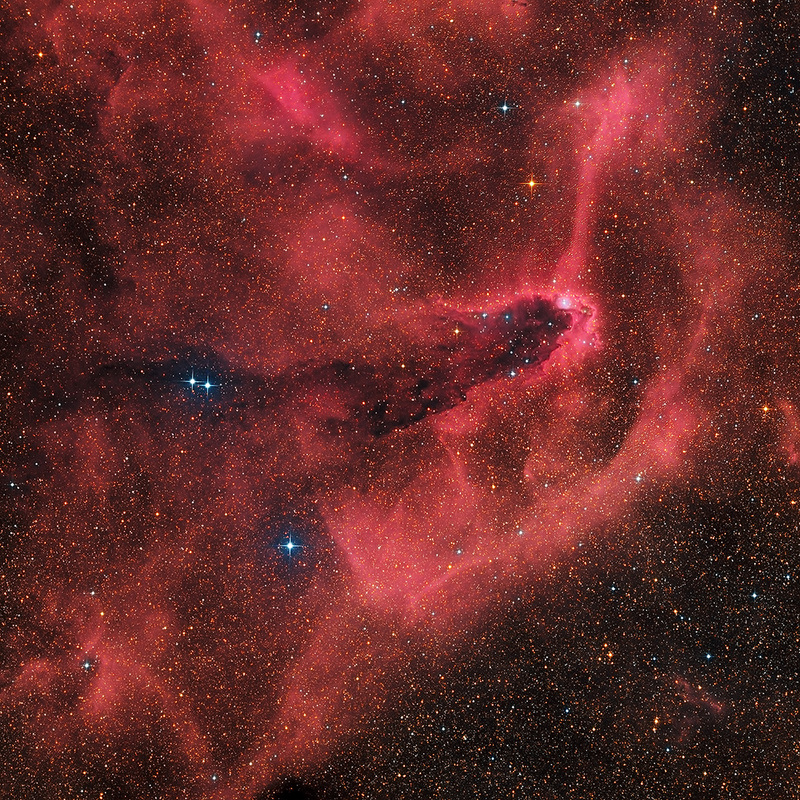 This region is a large roughly semicircular loop, and at its centre is the cluster NGC 6231. In this scene NGC 6231 is outside in direction SE (upper-right on the image). 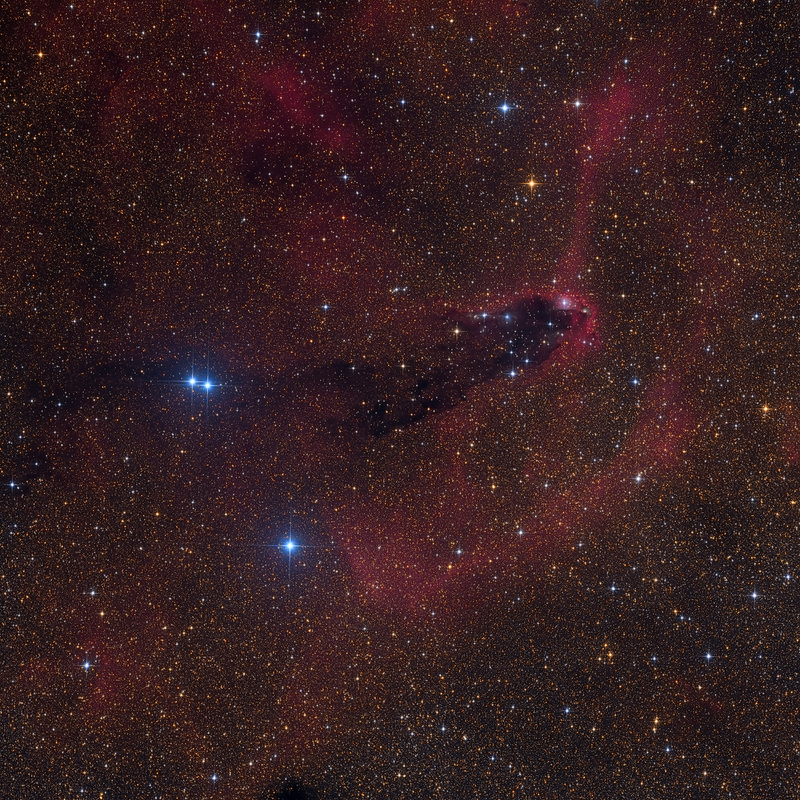 The Dark Tower - SFO 82 (SFO - designation of Bright-rimmed Molecular Clouds), the prominent bright-rimmed cometary globule, lies about 1.5 degrees away (NW) from the NGC 6231 and Zeta Scorpii. 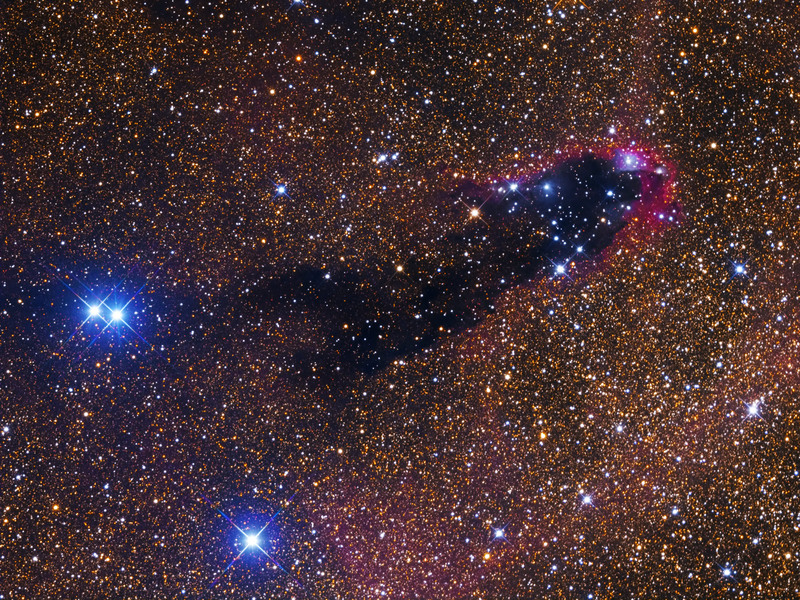 The shape of this massive structure of cosmic dust resembles a dark tower emerging from the star field background. Within the top of the tower the image shows several bluish reflection nebulae (vdBH73a-e) exited by intense radiation of hot O-type stars. These structures are stellar nurseries. 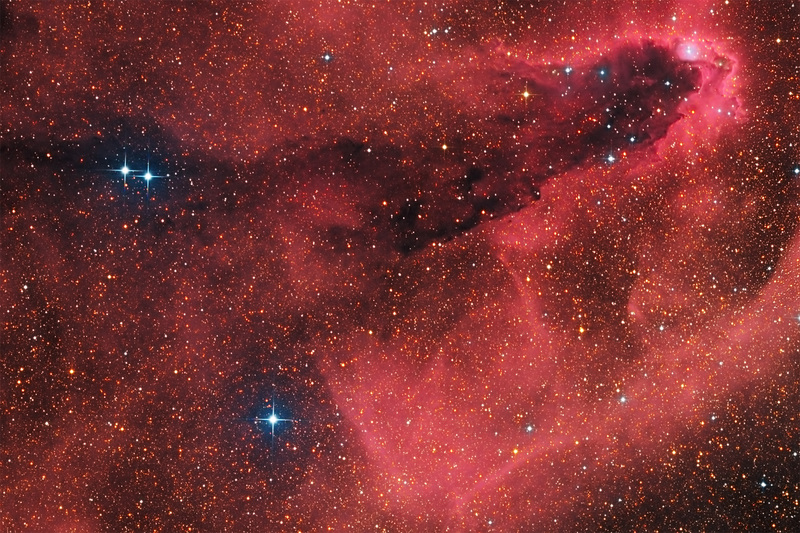 Typical of the Cometary Globule are the stellar winds coming from the head towards the tail. 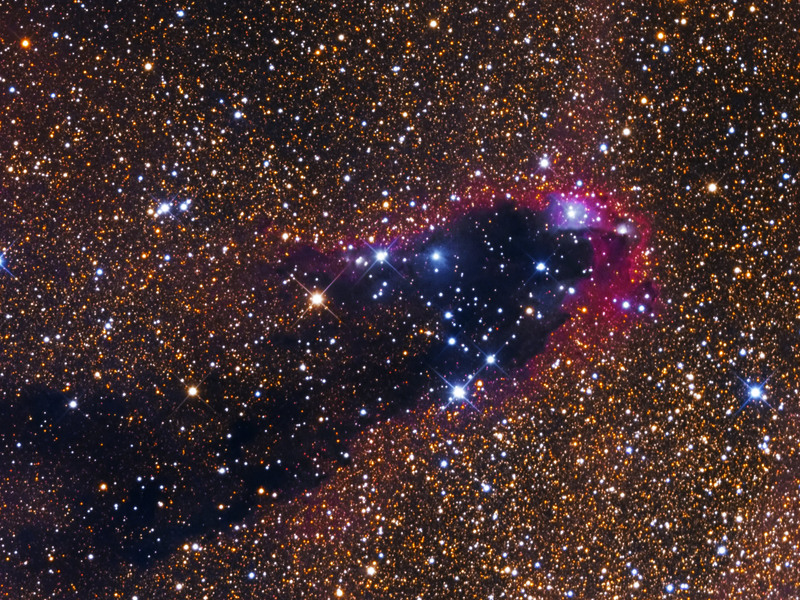 The energetic ultraviolet light also causing the red glow (from hydrogen gas) of the extensive bright rims (emission nebulae) around the top of the Dark Tower and the background medium. SFO 82 and associated nebulae are about 5 500 (+/- 1000) light-years away.